A lot of people have been wondering about the Purasonic, especially since it is now widely stocked at Target and Priceline. When I was buying my Clarisonic, I actually almost purchased the Purasonic but the lack of reviews led me to choose the tried and tested device in the end. Since I now have both I thought it would be a great time to write a comparison for those people looking to buy a new sonic cleansing brush who are trying to decide between these two devices. First of all I just want to talk about this sonic cleansing brush craze which is really taking off. These are electronic devices that don't spin around in a rotation but instead have a head where the inner bristles of the brush oscillate backwards and forwards ever so slightly to create what feels like a vibration which is still very gentle and suitable for all skin types. This sonic brush movement is meant to penetrate deep into the pores and clean out oil, dirt and makeup much better than manual facial cleansing. I definitely love the idea and certainly agree that using one of these cleansing brushes is much more efficient than using your hands. It's amazing how much makeup still ends up on the brush, even though I thought I removed it all before using the brushes. A lot of people don't buy these devices because they can be a big investment but I would absolutely say that they are worth it! My skin is so much softer, cleaner and more refined since I started using these devices and I would never go back to normal cleansing now. The Clarisonic Mia 2 costs $179 while the Purasonic retails for $99. The Purasonic also often goes on sale and I have seen it as low as $60 at the Priceline 40% off skincare sales while the Clarisonic, because it is only sold at Myer and Mecca, never goes on sale. If you shop around and buy it at the right time, you can get the Purasonic for as little as a third of the cost of a Clarisonic! As you can probably see they look very similar. They feel slightly different and the Purasonic has a rubber trim running all the way around it which it makes it slightly less comfortable to hold. They both also use the same twist locking mechanism for the brush and have two different speed functions which is controlled by a simple off button and up-down speed button. They also have identical chargers which use a magnet to lock onto the handle and somehow charge through the plastic casing so the device is waterproof and sealed, without any plug ports, which is fantastic! One thing to note though is that the magnet isn't as strong in the Purasonic charger so it easily falls off with the slightest bump so you have to be careful. The brushes are very close to identical and interestingly, the part that locks them in is exactly the same so you can use Purasonic brushes on the Clarisonic device and vice versa. I do think the Clarisonic brushes feel slightly softer but not by much. It is also very useful to know that if you can use the brushes interchangeably. 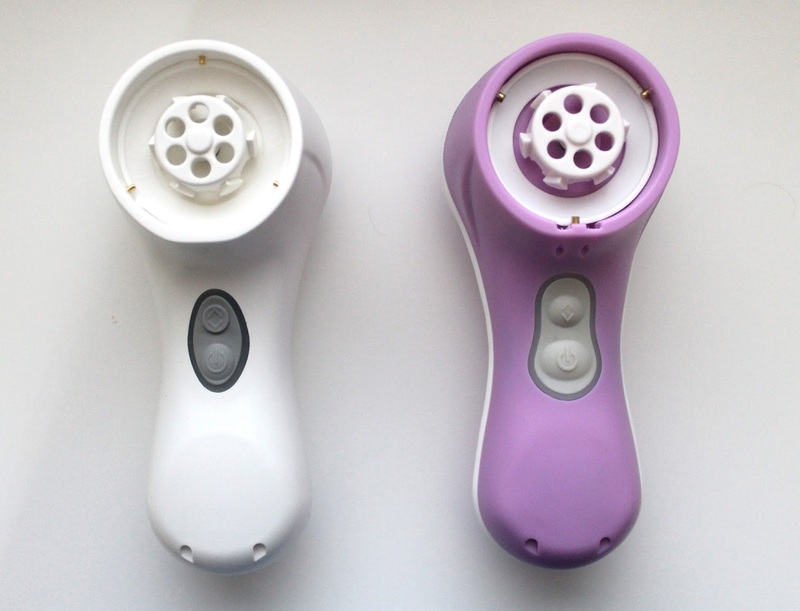 One thing that initially stopped me from buying the Purasonic is that it hadn't been around for as long as the Clarisonic and I was worried it wouldn't be popular and they would stop selling them, which would leave me with a device I couldn't buy brushes for. Not that it seems like Purasonic is going anywhere, it is good to know that you will always be able to get brushes for it. It is also important for me to mention that the replacement brushes for the Purasonic are far cheaper at $20, compared to the Clarisonic brush heads which are $35. You have to replace the brush every three months so the Purasonic, in addition to being the cheaper device initially, is also cheaper to run. Each brand also has three types of brushes; normal, sensitive and deep cleansing. While I haven't tried the deep cleansing brushes, I prefer the sensitive brushes from both brands because they are slightly softer. Each device comes with both a normal and a sensitive brush head so you can try both and see which one works best for you. Even though both devices use the same sonic oscillating movement (which just feels like vibration against the skin), the Clarisonic does have a stronger sonic action while not being irritating or abrasive. In saying that though, they are both still very effective. Both devices also have the same timer function which makes sure you don't over-cleanse one part of your face by pulsing to tell you to move to a different part. It times out 20 seconds on your forehead, 20 seconds down the centre of your face and 10 seconds on each cheek. Both leave my skin feeling very clean and thoroughly cleansed are far superior to cleansing just with your hands. While I do prefer my Clarisonic because of the stronger sonic action and the slightly better brushes, the Purasonic is a worthy opponent especially considering it is almost half the price. If you either cannot afford the Clarisonic or don't want to drop almost $200 on a cleansing brush, the Purasonic is a fantastic alternative that is well worth the price! If you want to splurge or make a good investment though, the slightly superior Clarisonic might be for you. Do you have a Clarisonic or Purasonic that you love? Are you going to go out and buy one of these devices to try for yourself? Please leave me a comment below and ask any me any other questions you might have about these cleansing brushes. 9 comments on "Clarisonic Mia 2 vs Purasonic"
Amazing post, so informative and in depth. I've seen the Purasonic at Priceline but haven't read any reviews! It sounds pretty great and quite comparable! I think if ever I were to purchase a cleansing brush I'd go for that one, I don't think I can justify dropping so much money on a clarisonic! Great review Emma! I love my Clarisonic but it's good to see a different, more pocket-friendly alternative. They are so, so similar! Fantastic post! I've been using my PuraSonic for 3 months now and I absolutely love it. I'm glad I didn't bother with the Clarisonic seeing as there is such a price difference for a minimal improvements. Great review!!!!! 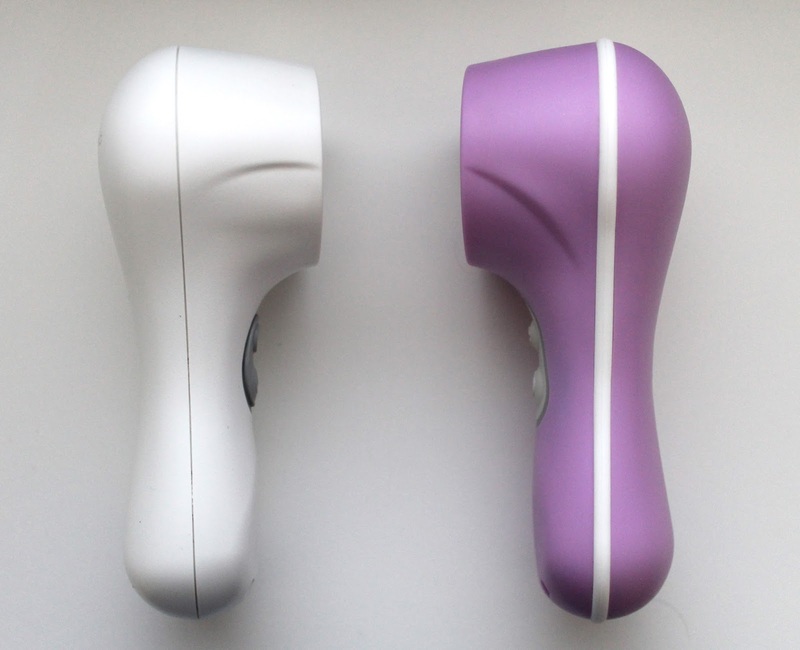 The PuraSonic actually has 3 speeds, whereas the Clarisonic Mia 2 only has 2. So you can get quite a deep clean with the PuraSonic. I would just start with the lowest speed and work your way to a deeper cleanse if you're sensitive. If you are SUPER sensitive there is a soft-silk brush head that you might like. Also, the device doesn't actually go "faster" when you change the speed, it is the distance of the bristles moving that gets bigger which works harder for your skin. The PuraSonic is a worthy opponent! Especially for the price! Great review! Please note that the Purasonic classic actually has 3 speeds as mentioned by another reviewer and actually has the same oscillation speed as the Mia 2 (300 osc per second). The Purasonic Neo on the other hand has 2 speeds and is battery operated and only has 200 osc/sec speed. The Purasonic Classic also has a travel case accessory which can also be used for the Mia or Mia 2. Really happy to read your comparison, I love my Purasonic I'm 50yrs old and real see improvement in my skin :) now been using for 2 months.